Whether you have a small business or get through a large volume of glasses hourly, it is crucial that your pot washing operation can turn around a high volume of glasses to meet the demand of your customers in a timely manner. Whilst volume is important it is imperative that you offer your customers clean, sparkling glassware to ensure you deliver a consistent experience which in turn will achieve repeat business. The Krupps K205E is from the Soft line, the top of the range thanks to its new construction technologies which guarantees highly efficient and effective results time and time again. As a premium machine the K205E offers you an Electronic Display to make it easier for you to set temperatures and wash cycles. The K205E glass washer complete with Internal Water Softener is compact and with its double skinned door that allows for quieter operation is an ideal solution for front of house use. 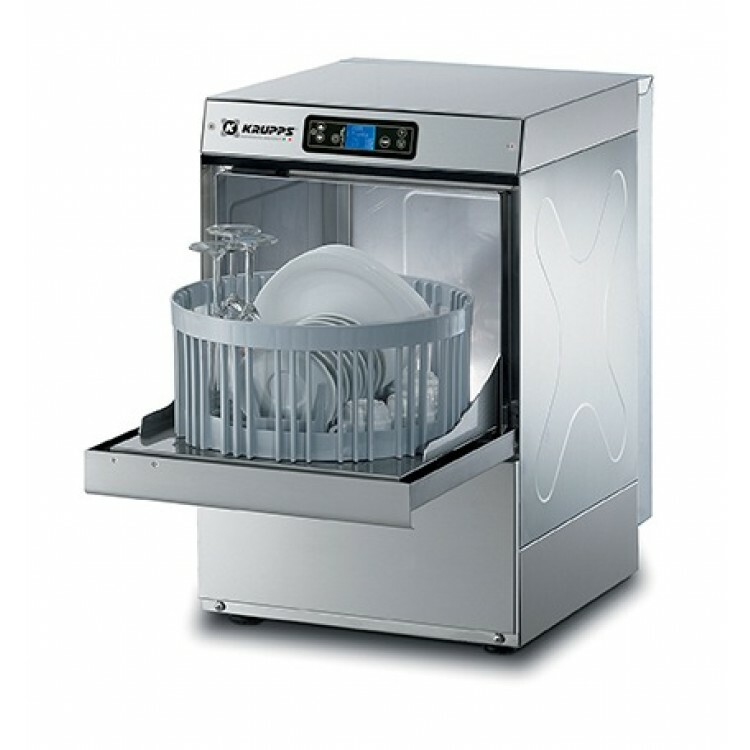 With Internal rinse aid dosing and detergent pump using both hot and cold water supply, the K205E has a range of wash cycles from 60 to 180 seconds that will wash up to 40 baskets per hour. The K205E is delivered within 4 weeks dependant on whether choose delivery only or choose to use our qualified installation service. If you choose to have this dishwasher installed by Dishwashers Direct, we will provide you with 1 year FREE Parts & Labour Warranty. If you choose delivery only, we offer parts only warranty. You can choose to upgrade and extend your warranty upto 3 years including parts and labour.